Stay connected with your dishwasher wherever you go! Washing without water sounds almost impossible – but is it? With the process safety of our warewashing, cooking and food preparation products we take the load off from you. At HOBART, we take pride in providing reliable, high quality kitchen equipment that has been engineered and tested to ensure that whatever challenges the days bring - you can make it happen with HOBART! HOBART wins once again "BEST of Market"
Which dishwasher model meets your requirements best? What do you expect from your new dishwasher? What is most important to you? With just a few clicks, you can enter your requirements for your new dishwasher and, in turn, you get a first recommendation for the right model. HOBART offers the right solution for every sector! Every industry has its own unique requirements concerning warewashing. With a great deal of commitment and innovation, we deliver a customised solution for every market. 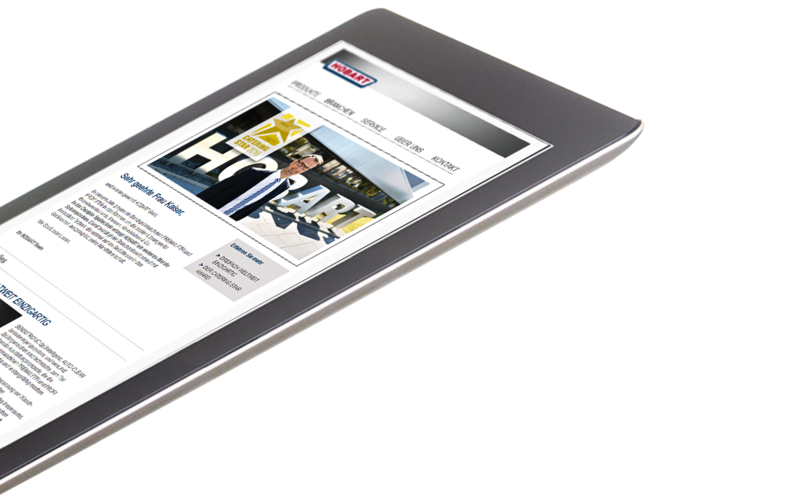 With our free newsletter, you will not miss any important information about HOBART GmbH. You will also receive useful product tips as well as information about our upcoming trade fairs. I agree that my click behaviour in the newsletter is evaluated for the compilation and delivery of the newsletter. The consent can be revoked at any time in the newsletter with effect for the future. HOBART GmbH is the global market leader for commercial dishwasher and warewash systems. As a leading innovator in commercial dishwashing technology, we always find solutions that reduce the consumption of your resources continuously, thus protecting the environment. HOBART develops, manufactures and distributes machines and equipment in the fields of warewashing and cleaning technology, cooking and food preparation as well as environmental technology. Furthermore HOBART offers specific solutions around warewashing: including a in-house developed hygiene line, perfectly adapted to all HOBART dishwashers, as well as water purification and water softening appliances.